Mix together the butter and sugar. Add the eggs, flour and baking powder. Finally, add the lemon rind (use a fine grater). Mix until you have a smooth batter. 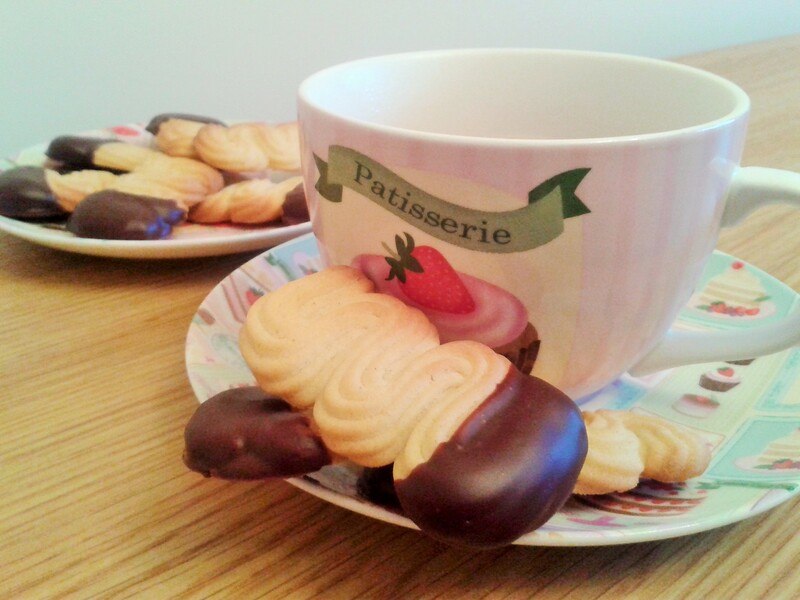 Pour into the baking tin. Bake for 20-25 minutes until golden brown and springy to the touch. Leave to cool in the tin then turn out onto a wire rack. 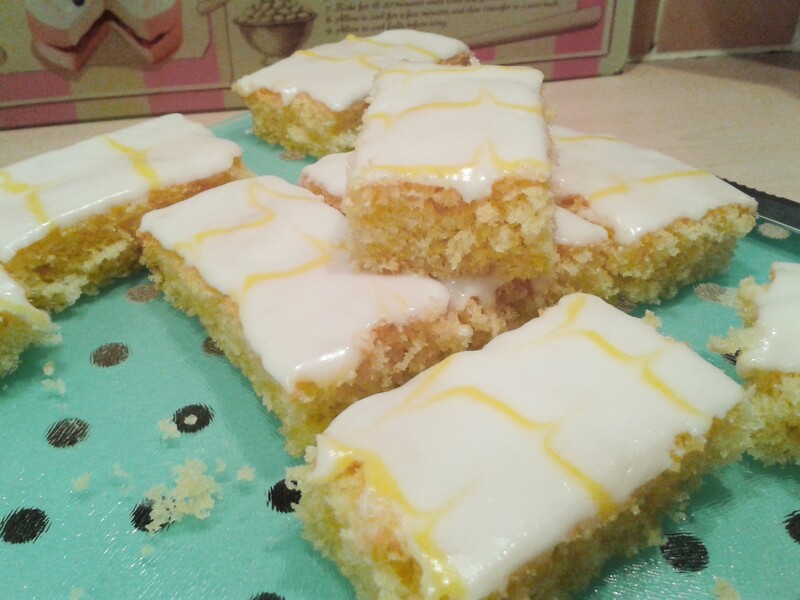 I used regular water icing but made it lemon flavoured by adding lemon juice to the icing sugar, rather than water. 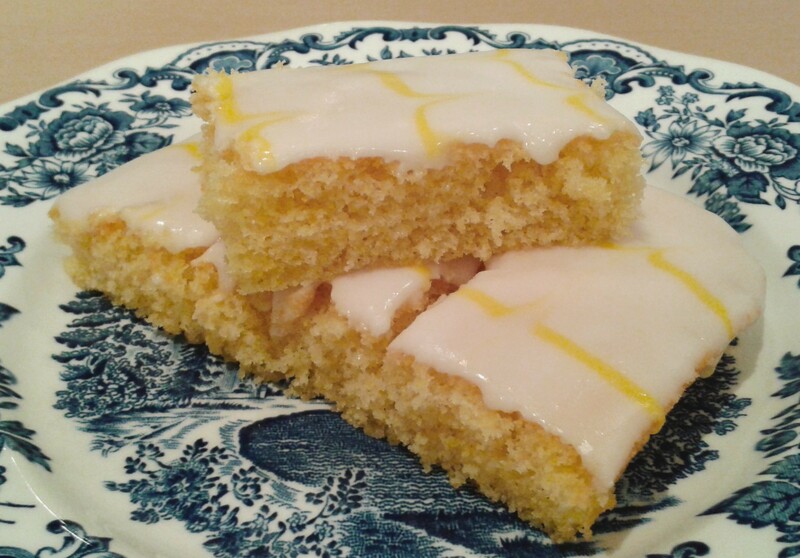 Leave the icing to set and then cut into as many slices as you like. 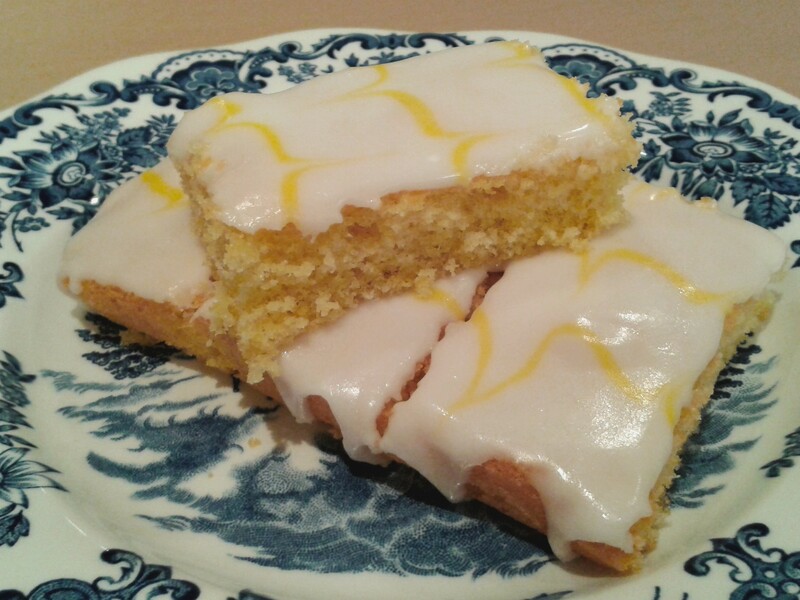 This is a very light lemon sponge with a refreshing, crisp flavour. Omgosh my absolute favourite! Thank you for the recipe! It’s such a nice alternative to chocolate 🙂 Thank you for visiting! Lemon cake is beautiful 🙂 I’d chose it over chocolate cake every day! Thanks allot Claire, when I saw calorie free I was so excited! Just kidding! Wonderful recipe! I love lemon! 🙂 It’s a shame that the more delicious things are, the higher their calorie content! 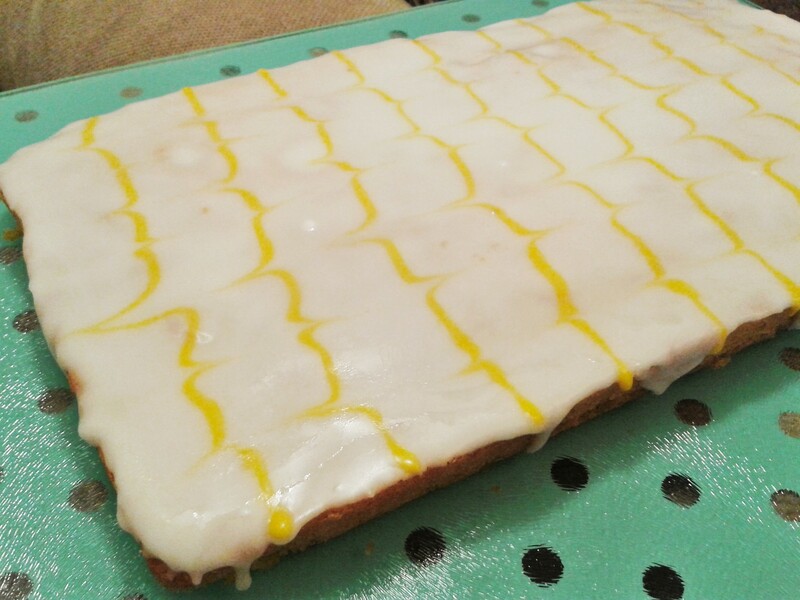 Your recipe is very interesting, a yummy lemon sponge cake with a beautiful icing ! !